EDINBURG — The first 45 minutes of RGV FC’s match against Phoenix Rising could have been a microcosm for their entire 15-game season so far. They controlled possession, they took more should, took better shots, but came up empty. Only one shot, from Bryce Marion, found the target. Everything else near the net went high or wide of the Phoenix keeper. After the break, the visiting group came out with the wind at their back, more energy and tested RGV goalie Michael Nelson in the first professional start of his career. Nelson, who played collegiate at Southern Methodist, was the Houston Dyanmo’s 20th overall pick in the 2018 MLS SuperDraft. He is just seeing the field due to a shoulder injury that has sidelined him since February. He was hardly tested early but in the second half alone he was called to make five saves, many of which were of the sprawling, acrobatic variety. The high pressure early from the Toros looked destined to produce a goal for the home team. Matias Zaldivar was a common target for the offense. He got off four shots. Marion who started for just the third time in his career was effective in the first half, making key passes and taking the lone shot. Early attempts included a Nicolas Perea header just over the crossbar on the Toros first corner, at the 11-minute mark of the match, and a shot sent over the bar by Zaldivar after a pass from Aldo Quintilla. In the second half of play, the second-ranked Western Conference club came to life. The visitors peppered Nelson with five shots, with a couple of them requiring a diving effort to keep the ball out. The starting backline of Kyle Adams, Manny Padilla, Sheldon Sullivan and Conor Donovan were strong to limit chances and speed even when Phoenix brought on dangerous subs like Billy Forbes and Chris Cortez. Toros coach Gerson Echeverry said that as time went on tired legs settled in for his group, the talented Phoenix group took notice. The home team’s next best chance of the game came right before the final whistle. Enriquez was a fountain of chances at different points of the game but his possession in second-half stoppage time was wasted when he decided to pass to Jordan Jones instead of taking the shot from inside the six-yard box. 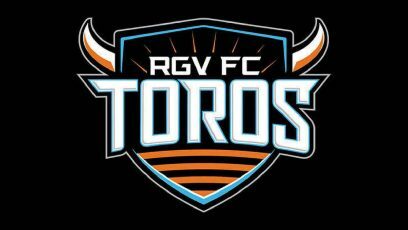 The Toros will be back in action when they visit Saint Louis FC next Saturday and return to H-E-B Park in two weeks on July 7 when they play host to Tulsa Roughnecks FC.